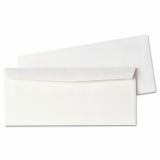 Quality Park Business Envelope, #10, 4 1/8 x 9 1/2, Gummed Flap, 500/Box - Business envelopes feature a contemporary style with sturdy, 24 lb. 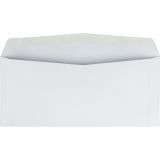 white wove, super-white bright stock, side seams and full-size flaps. These commercial flaps are fully gummed. No. 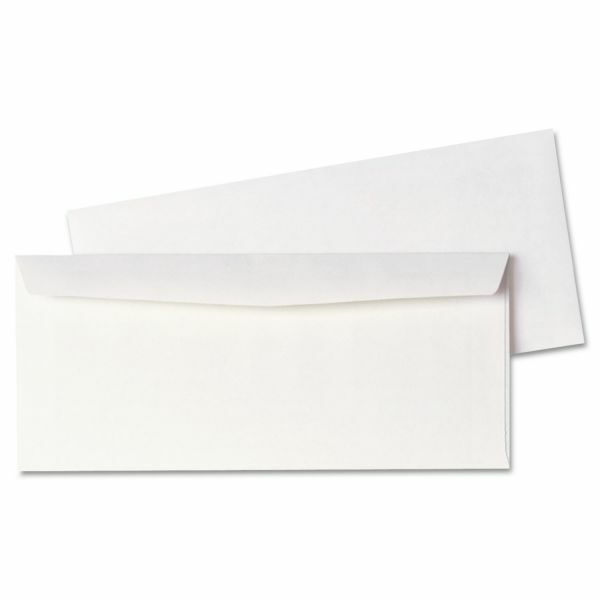 10 envelopes are ideal for use with automatic envelope inserting/sealing equipment.